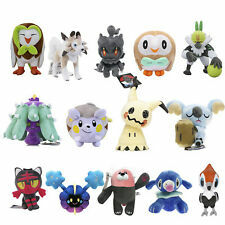 Pokémon Bewear Plush Stuffed Animal Toy - Large 12"
*NEW* Authentic Pokemon Center 2013 Japan Mewtwo Plush Doll 11"
This page was last updated: Apr 18 23:13. Number of bids and bid amounts may be slightly out of date. See each listing for international postage options and costs.